From the fiery red of the setting sun to the brilliant glow of high noon, see the spectacular sun in its many stages. Then watch as night approaches, bringing with it the eerie darkness of a cloudy night or the vivid orange of a desert moon. This collection is truly a brilliant display of the different phases of the sun and moon. Collection contains 26 clips. A Colorful compositional Smoke Clouds, Ink in Water element for your Projects. This is already Pre-Keyed for you so just Drag n’ Drop and also use it as a mask to reveal your logo. Full HD night street time lapse with billboard and alpha channel, easily insert your own text, graphics, pictures or videos. Feel the hope of spring as you gaze on fields of wildflowers, and prepare for winter as the leaves turn and the birds fly south. You'll find waterfalls, cloud-strewn skies, mountain peaks and canyon walls among the many picturesque scenes in this collection. Be sure to see Nature's Gallery 1 for even more options. Collection contains 30 clips. Bienvenu! Take an up-close look at the stunning architecture of France. Visit medieval castles in Normandy and the Loire Valley. See grand old buildings like the Abbey on Fontenay in Burgundy and the Plaza of Obernai in Alsace. From the desolation of an abandoned village in Gorges of Tarn to the hustle and bustle of downtown Paris, this collection has all the charm you'd expect to see in a French village! Collection contains 42 royalty-free stock footage clips. Turbulent Pacific Coast waves roll past jetties and giant rocks, sending huge plumes of spray into the gull-filled air - or scaringly toward the camera! Thundering and crashing toward the shore, foam-crusted surf is blasted by wind which flings spray back over the curl. A great mix of up-close, get-you-wet spray and more distant, powerful waves that drench everything in their paths. HD collection features a selection of 30 clips. Flowers of many varieties and colors change from tightly furled buds to full bloom. A seed head opens into a perfect dandelion clock. Seedlings sprout from the soil in exuberant growth. The botanical action of hours is compressed into seconds full of wonder and beauty in this timelapse collection. HD collection contains 26 clips. A high definition look at life under the sea! Visit the coral reef where unique underwater creatures abound. You'll love the vibrant, colorful vegetation and captivating fish that thrive in the depths. HD collection features 15 royalty-free stock footage clips. 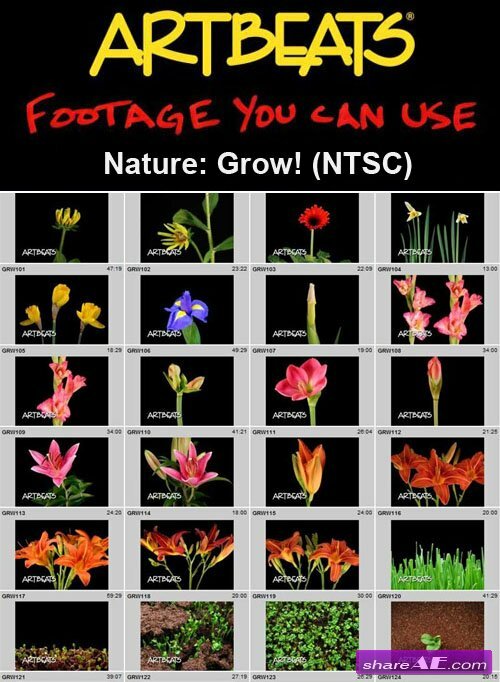 SD: Watch buds come of age and bloom in only a few short moments in this collection of popular flowers shown with the magic of timelapse. But that's not all! Seedling armies pop up from the ground, a spooky bean emerges from the soil, and a goatsbeard seedpod pops open to spew its seeds, fitted with tiny parachutes. Just sit back and watch the garden grow! Collection contains 26 clips. 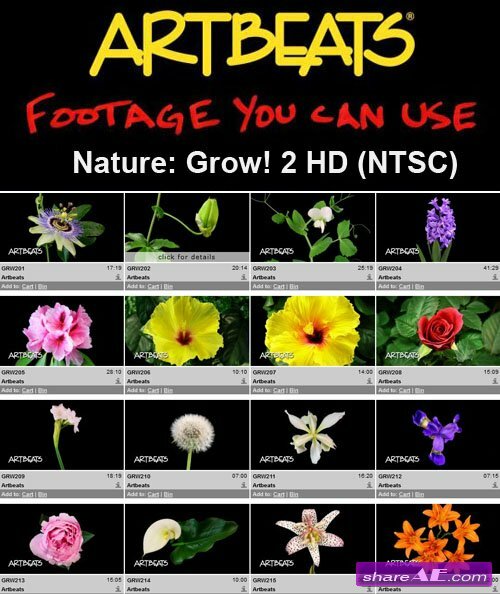 HD: Watch buds come of age and bloom in only a few short moments in this collection of popular flowers shown with the magic of timelapse. Brown-eyed Susans, daffodils, iris, and gladiolas diplay their spectacular colors - but that's not all! Seedling armies pop from the ground, grass shoots up, and a seedhead opens to spew its parachute-like seeds. Just sit back and watch the garden grow! HD collection features a selection of 24 clips. 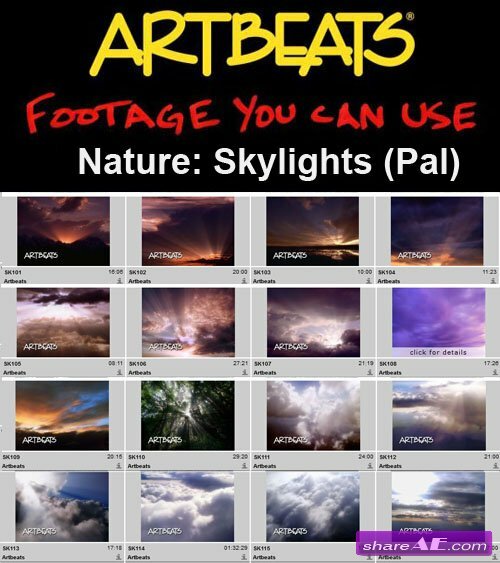 These breathtaking sunsets, secluded forests, glowing clouds, brilliant light rays and puffy cloudbanks are great for worship and dramatic uses. Packed with spiritual inference potential, this stunning collection also includes timelapse and POV shots. Collection contains 28 clips. Hear the roar of the ocean, feel the warm water splash you, and respect the power as you watch some of the Pacific's most dramatic waves as they crest, curl and topple right before your eyes! HD collection features a selection of 15 clips.